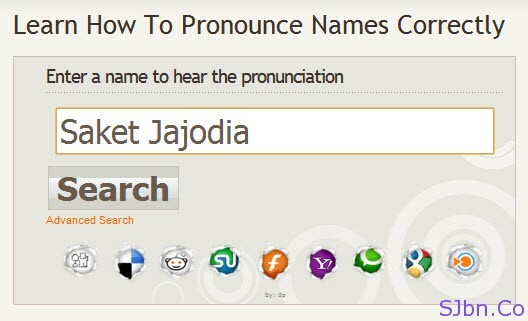 Today in this post I will tell you how to pronounce a name. If you are going to have a video talk with your foreign client and you are not sure you will able to pronounce his name correctly or not. Hearnames is a website where you can get almost all common names and surnames in the world. They have huge audio database of different people’s name and in different language. They have Arabic, Chinese, English, Greek, Hindi, Russian, etc. You can simply go to HearNames.com, search for the name, click on play button and hear how that name is pronounced. I tried my name but I couldn’t able to find my name, anyways I have requested them for my name also.